Claire, describe your typical day at Majella winemaking. 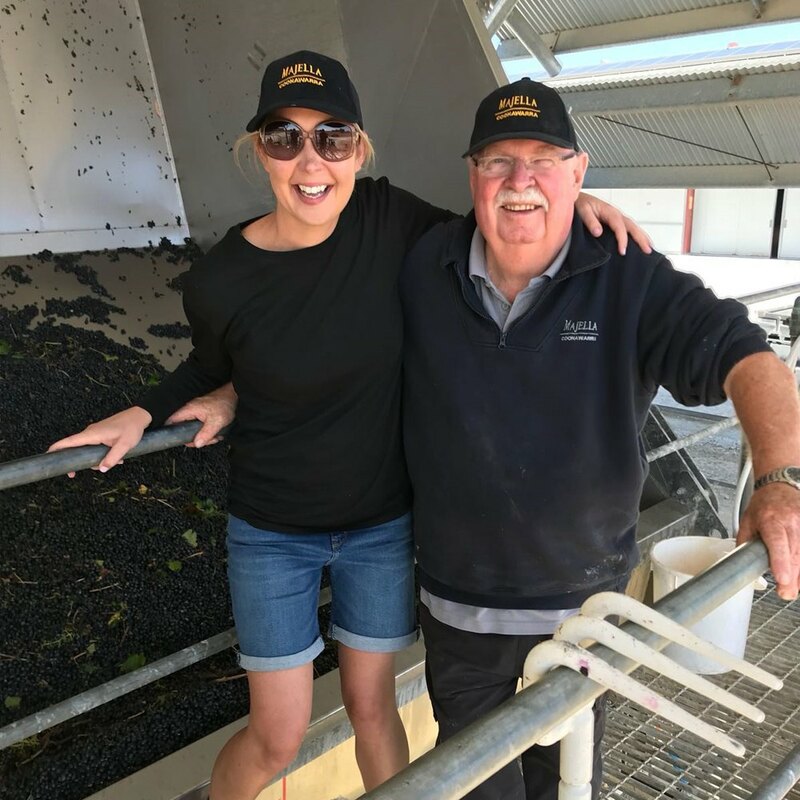 What I loved about my week in Coonawarra was every day is different (the only thing that is the same is Profs famous morning tea “smoko” at 10am every-day and the BBQs in the shed at 12.30pm (the staff are fed extremely well) – I loved being out on the Harvester with Donny, that has been his job here at Majella since the day they started. I loved Topping with Fred and filling up the last years barrels with the juice the angels had taken. Learning from all things wine from Bruce, Marcus and Fitzy. Tony – Profs brother was also great with me showing me all things wine. What was your favourite part of making wine (aside from drinking it!)? That there is certainly much more to the wine making process than just crushing grapes! Did your pink boots survive!? We also spoke to Bruce Gregory, Chief Winemaker at Majella Wines who taught us a thing or two about the wine making process. Tell us a bit about yourself and your wine-making career/Majella etc. I am married to wife Marcia and have to adult children. Marcia and I moved from the Barossa Valley 29 years ago, as a young, newly married winemaker I started my wine making in the Barossa Valley and was offered an opportunity to move to Coonawarra working for Brands Laira Winery prior to McWilliams Wines purchase of the winery. The early Majella wines were made at Brands Winery where I first met Brian and Tony Lynn, a few years later and the challenge of being involved in building a new winemaking facility was hard to resist and in 1999 saw the first Majella vintage from the newly built winery. Can you explain the process of wine-making for us? This is a natural process of yeast converting sugar into alcohol and there are many different ways to achieve the end result of a drinkable wine but I will explain some of what Claire was involved with in her time at Majella and some of the reasons for my decisions. The Majella process is not that different from other wineries our size, our reds are machine picked from our own vineyards and delivered to the crusher/ receival area on rear tipping gondolas of approximately two tonnes. We weigh each load, measure temperature and baume (sugar content) before destemming to remove unwanted matter then pump the must to either rotory or static fermenters, at this stage a cultured yeast is added to initiate fermentation. The best way to explain the difference is that rotary fermenters roll to mix the grapes and the static fermenters just sit and the mixing is done with pumps. The fermenter style will be chosen on several factors but most importantly on the style of wine I want to achieve, the rotory fermenter will extract greater tannin and colour concentration in a shorter time allowing a greater timely use of the tank. The static fermenters will have a one to two day longer turnaround time to achieve the tannin and colour we want in the reds. Most of the reds are barrel fermented so before the yeast has completely converted the sugar into alcohol we drain and press the fermenting grapes and pump the liquid to barrels. This process not only allows us to introduce oak to the wine at an early stage but gives greater palate complexity. Through this early stage of the wines life we are constantly monitoring through analysis the sugar loss until the yeast have finished converting it into alcohol then we empty the barrels to remove the lees (dead yeast cells and solids) and return the wine back to barrels for maturation prior to blending for allocation. 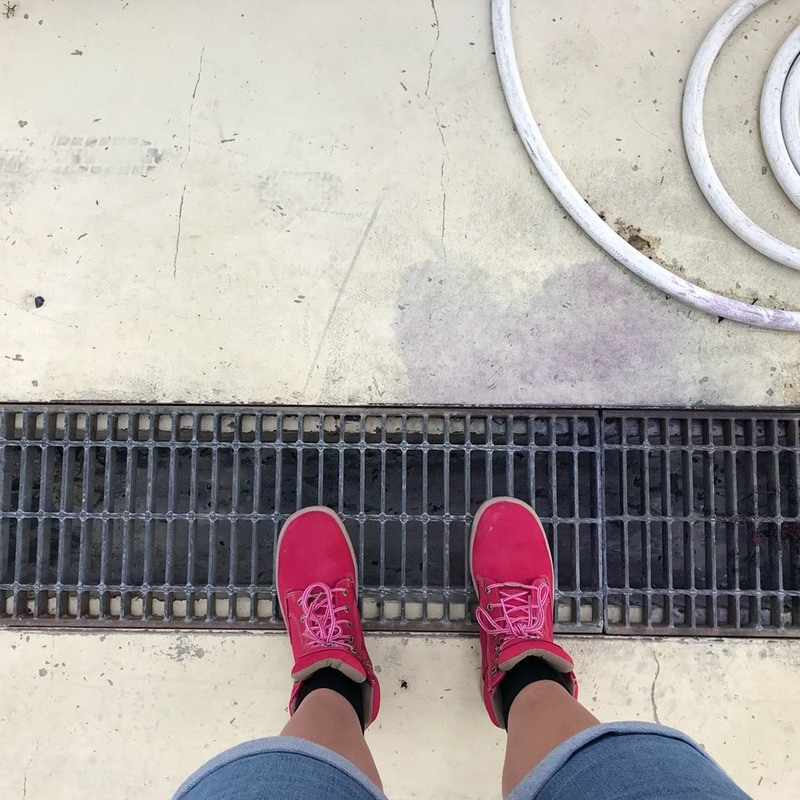 Generally young reds will have several rackings and a filtration to ensure clarity with sulphur dioxide added to maintain microbial stability. Barrel maturation is dependent on wine style but is generally from 12 to 24 months after which the wine is pumped from the barrels and sent to bottling. Further aging may take place in the bottle before the wine is released for sale. The whites are processed slightly differently, picking is done in the cooler part of the day, crushed destemmed and the juice is separated from the skins using a pneumatic press before fermentation to minimise any bitterness or coarseness in the juice. A cultured yeast is added to clean juice where the fermentation is temperature controlled in insulated stainless steel tanks. This process takes several months to complete after which the wine is racked and filtered to remove the dead yeast lees, sulphur dioxide is added to maintain microbial stability and the wine is sent for bottling. What are the stand-out wines to look out for from Majella? The 2018 Cabernet Sauvignon should be something special, we have had a very dry autumn leading into vintage which has produced berries with a lot of flavour and intense colour. Every vintage offers different challenges, some greater than others. At best we can only maintain the quality we receive from the vineyard so for me maintaining the benchmark is the art of winemaking. What’s your favourite drop at the moment? I don’t like to pick favourites, but it is hard to go past a good Cabernet or Sparkling Shiraz after work. Do you have any advice for anyone wanting to get into the wine industry? I get asked this question often when school students are considering university options. The industry is finding it hard to place the students leaving university as the major growth was some years ago but there are many path ways to choose, from viticulture, winemaking or sales. The reality of the industry is it agriculture and subject to weather conditions some years will be great and others less enjoyable. Would you hire Claire again!? Absolutely, Claire came with fresh faced enthusiasm and her pink work boots which provided colourful discussion over morning tea. What do you love about the Coonawarra wine region and what differentiates it from other wine regions? Most people who come to Coonawarra arrive for the wine but the people are so welcoming and inclusive. When my wife and I arrived, we found that most in the industry were from other wine regions of Australia and the world and had very little family connection to the area so it is easier to integrate into the local Coonawarra community. The Coonawarra Community Club is the place to go on Tea Night which is the last Friday of the month, the locals donate their time and are rostered on to cook off a short menu and there is always a mix of both locals and seasonal workers to chat to over a glass of red. People make the region special and wine makes the region great! What’s your favourite thing about the Good Food & Wine Show? Majella have been involved in the Good Food & Wine Shows for some years and over the time there has been an increased consumer interest in the shows. Their level of wine knowledge has increased and hence their enjoyment of premium wines.